Small, stout little birds. Crown, mantle and underparts olive green, back, rump and wings red. 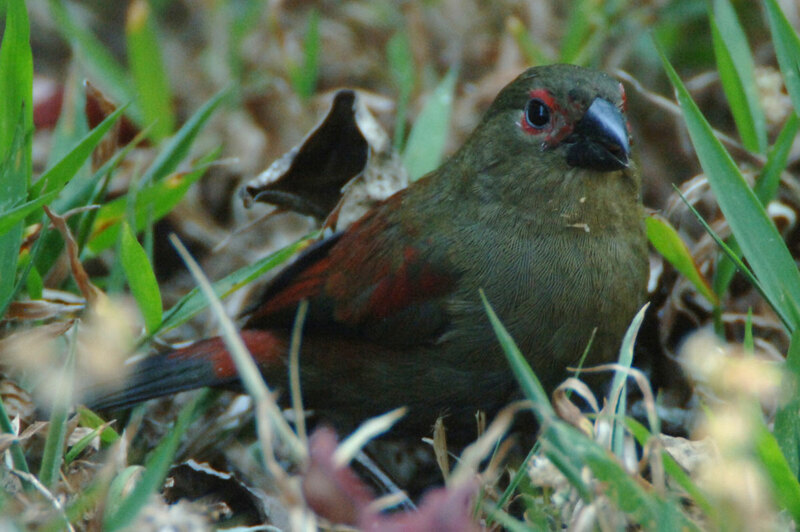 Male has red face. Forages on the ground along pathways and on forest edges, flying up high to perch and observe. Shy and elusive, but quite common. Often seen around dam and along road to Crimsonwing Cottage.